St. Martin's Griffin, 9780312060275, 448pp. Doris Kearns Goodwin's classic life of Lyndon Johnson, who presided over the Great Society, the Vietnam War, and other defining moments the tumultuous 1960s, is a monument in political biography. 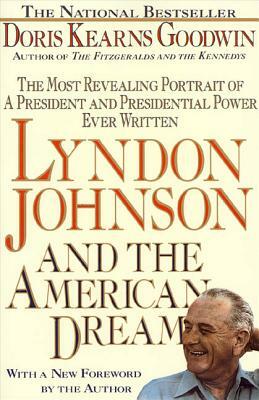 From the moment the author, then a young woman from Harvard, first encountered President Johnson at a White House dance in the spring of 1967, she became fascinated by the man--his character, his enormous energy and drive, and his manner of wielding these gifts in an endless pursuit of power. As a member of his White House staff, she soon became his personal confidante, and in the years before his death he revealed himself to her as he did to no other. Doris Kearns Goodwin is a celebrated historian and the author of Team of Rivals, The Fitzgeralds and the Kennedys, Lyndon Johnson and the American Dream, and other bestsellers. She lives in Concord, Massachusetts, with her husband and their three sons.